A photo scavenger hunt is a great way to keep kids busy while having fun. You can specify an area of the house, your backyard, a local park or any other safe location for the hunt. If you have tech-savvy kids, this is a wonderful way to engage them with nature while still tapping into their interests. Choose the location of the hunt. You’ll want to consider the weather, ages of the kids involved, and whether you’ll have more than one team. Younger kids might stay in a yard, while older kids might roam a neighborhood. Make sure to tailor your clues to your location! Make a list of items to take pictures of. You can even use creative riddles to make it more challenging. Keep the list short and simple for young kids. Choose large items that are easily photographed, and be specific about the items to photograph. For older kids who need more of a challenge, try using riddles or more challenging and creative clues that require some thought. 3. Set a time limit, if appropriate. If it's a competition, break the kids into even teams based on age, size or skill—a fair mix of each works best. If it is a collaborative search, help the kids plan for how they will share the camera (e.g., each person takes one photo and then passes the camera along). Give out the clues and explain the rules, including the physical boundaries and time limit, if any. When the time limit is up, or the clues have all been found, have a "judge" decide if each photo is a correct match to the corresponding clue. If it's a competition, tally the results and announce the winner. If you're using mixed teams, consider assigning clues to both older kids and younger kids, so everyone can have fun. Make safety the number one goal. You can have a more expansive scavenger hunt by adding an adult or responsible teenager to each team and letting them roam freely. If you're in an area with a lot of trees and brush, make sure kids wear long pants and can identify plants like poison ivy, sumac and oak. Even though the scavenger hunt is over, the fun can continue beyond the end of the game! 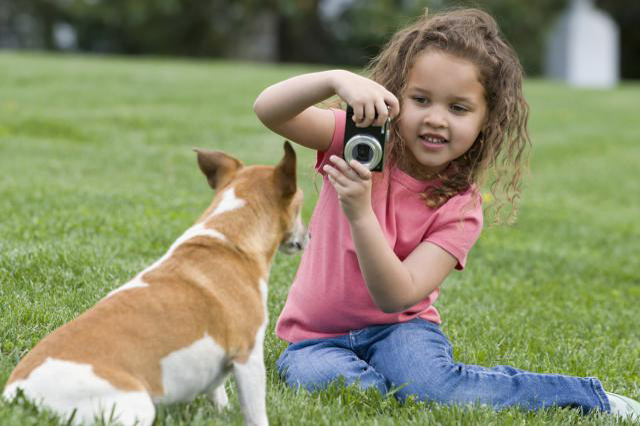 If you've got kids who are interested in photography, help them learn the basics of taking digital images. Download scavenger hunt pictures to your computer and make a collage or even design your own t-shirt. Challenge kids to create mystery pictures.